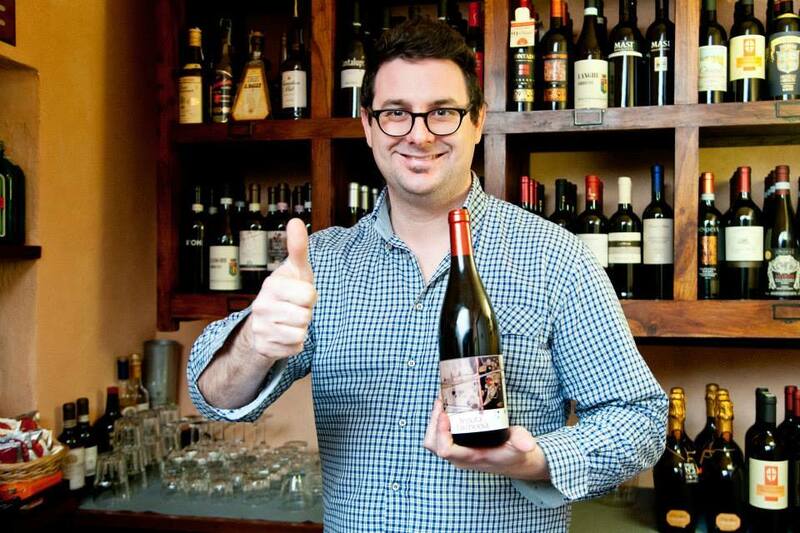 Before starting the winery, Andrea Pendin was a trained chef. 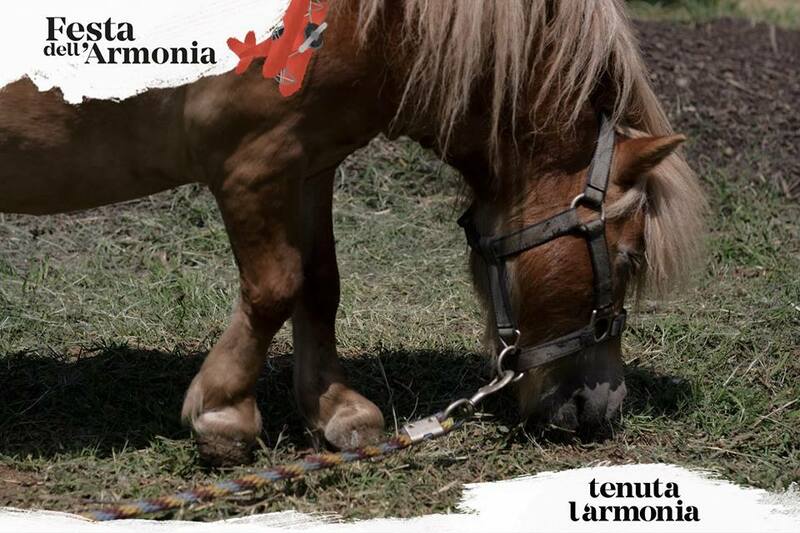 He made the first vintage of Armonia wine in 2009 and now cultivates 10 hectares of vines in the Vicenza hills in the Veneto. 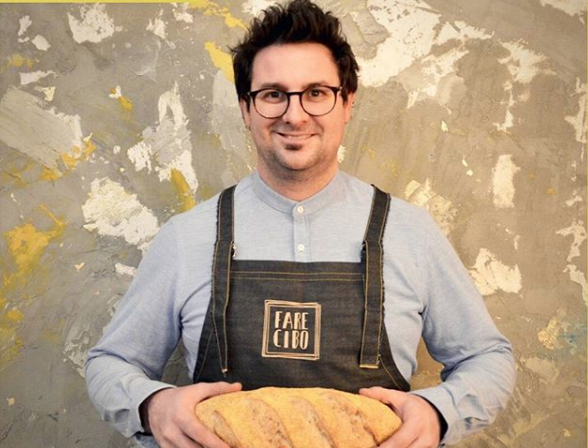 He also operates the excellent nearby restaurant Fare Cibo, which showcases the best of the local ingredients alongside a fantastic selection of natural wines. Armonia creates three distinct lines of wine, POP, CRU, and LAB. The POP wines are the affordable, easy-drinking wines from Volcanic Soils a bit further away from the winery. 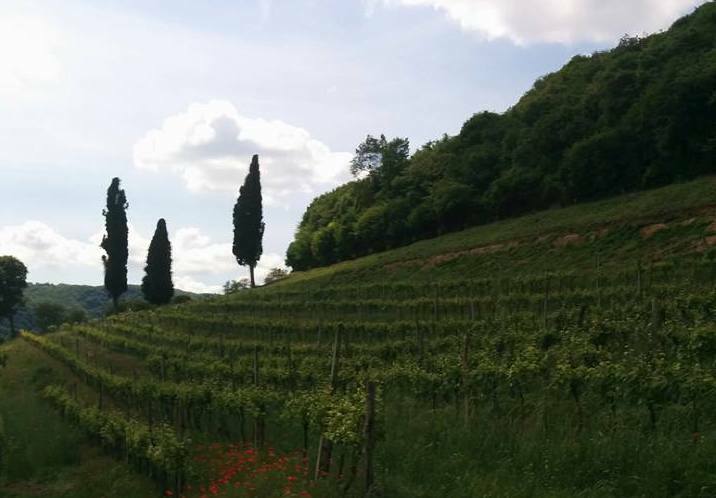 These vines are all cultivated organically, and are in process of converting to biodynamics. The CRU line is from older vines from vineyards very close to the winery, with hillside exposure and calcerous/limestone soils, where Andrea tries to evoke the particularities of different isolated terroirs he cultivates. These vines are all cultivated biodynamically. 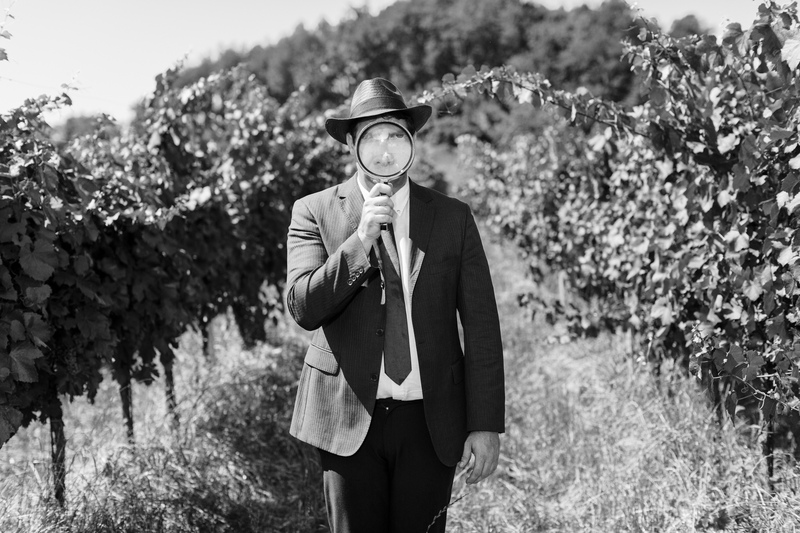 And the LAB projects are those featuring collaborations with other natural winemakers and people important to the natural wine community across Italy. 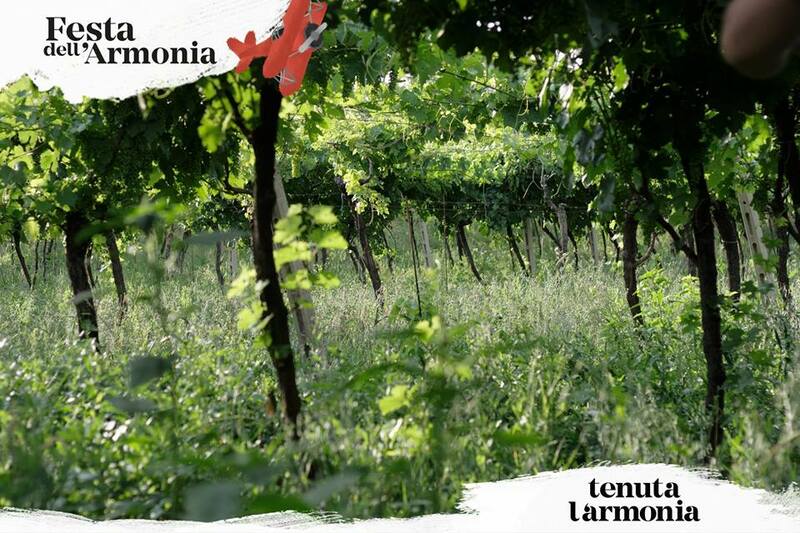 Many of Armonia’s wines feature the local grape Durella, a late ripening, high acid white grape, which Andrea says always brings an essence of freshness and acidity to the wine. All of the wines at Armonia are fermented with indigenous yeast. Vinification Method: Grapes are hand harvested and destemmed. 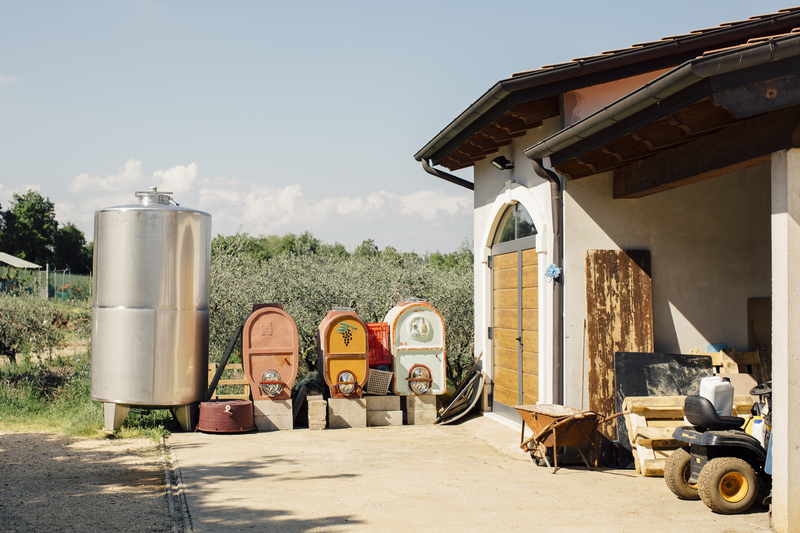 The grapes are pressed and the pinot and durella ferment separately in stainless steel tanks where temperature is controlled to keep the wine under 85 degrees. Vinification takes place over 8-10 months. The two varieties are blended and bottled when fermentation is finished, along with some frozen must from the same vintage to provide the sugar for the bottle fermenation to finish in bottle as a pet-nat. The wine is unfined, unfiltered, zero so2 added and it is not disgorged. The wine has a slightly pink/orange hue thanks to the soft pressing on the pinot noir, but it is not a macerated orange wine. Vinification Method: Grapes are hand harvested then destemmed and pressed. The varieties are vinified separately in stainless steel tanks and ferment for about 2 weeks. The wine macerates on the skins for about 3 days. The wine spends about 8 months on the fine lees to enrich the flavor, with a small amount of battonage performed and one racking to clarify the wine a little bit. The wine is bottled unfined and unfiltered with a small addition of sulfur. Vinification Method: Grapes are hand harvested and 30% of the grapes ferment carbonically in whole bunches in stainless steel and cement tanks, while the rest is pressed and left with the skins. The wine ferments for about 2 weeks and then the varieties are blended for elevage for another 8 months. The wine is bottled unfiltered, unfined and with a small addition of sulfur The resulting wine is light and fruity, very much inspired by the wines of beaujolais or the cabernet francs found in the loire valley. 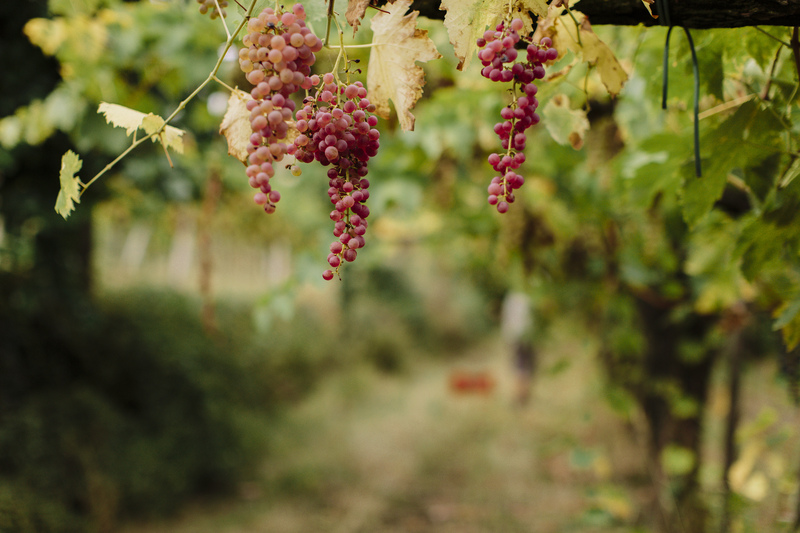 Vinification Method: Grapes are hand harvested and destemmed. The grapes are pressed and the juice ferments in stainless steel tanks. 10% of the tank is left empty during fermentation and the wine also spends some time in 1500 liter acacia barrels to introduce notes of oxidation to the wine. The wine is moved to the bottle with an addition of yeast and sugar for the secondary methode champenoise fermenation. The wine is left to mature on the lees for 3-4 years, and is then disgorged. Vinification Method: Grapes are hand harvested in three different stages. The first pick is a bit early to add acidity and freshness, the second for the most perfect and mature grapes, and the third with some botrytis developing to add complexity. The bunches are destemmed and the wine ferments on the skins for about 3 days in Acacia wooden tanks and then takes another week and a half to finish fermentation. Elevage continues for about 1 year. The wine is bottled unfiltered, unfined and with a small addition of sulfur. 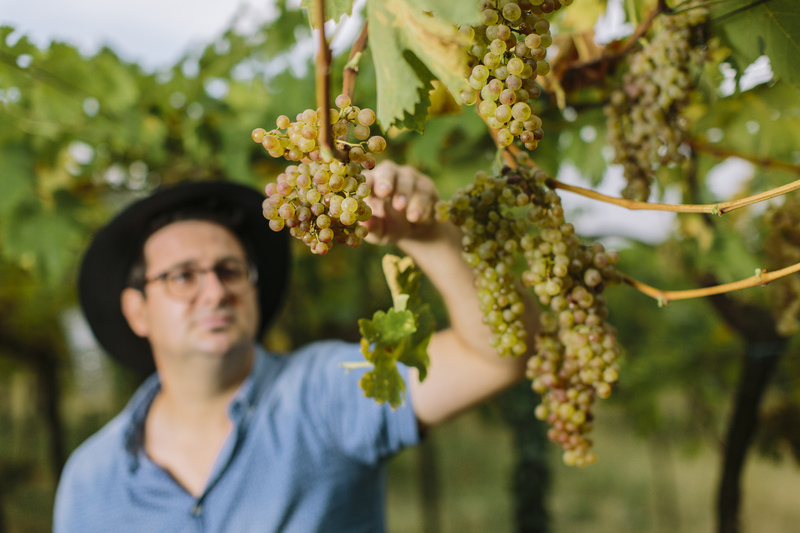 The wine was inspired by other macerated wines of the region like Franco Terpin’s and also Sebastien Riffault’s macerated Sancerre from the Loire Valley in France. 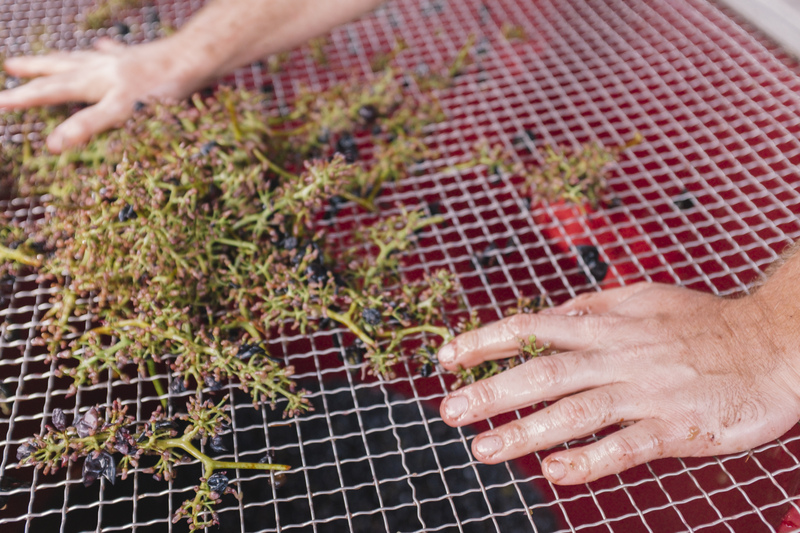 Vinification Method: Grapes are hand harvested and manually destemmed. The grapes are pressed and the wine ferments in Acacia Tanks for about 2 weeks. The wine rests in tank for another year in contact with the skins for around 130 days, and is bottled unfined unfiltered, and with zero addition of sulfur. The long skin contact in this wine is a technique borrowed from piedmontese winemakers, that results in a wine of great depth of flavor but surprising lightness. The G-Ray is a collaboration between Armonia and Andrea Marchetti, the organizer of two popular natural wine tastings in Italy, Back to the Wine and Vinessum. 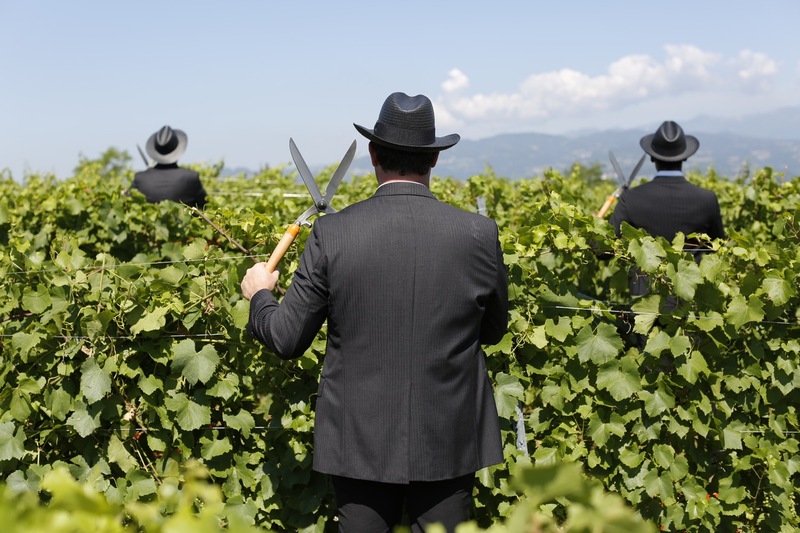 Vinification Method: Grapes are hand harvested and destemmed. The wine macerates on the skins for about 8 days and is then pressed. The wine ferments in stainless steel tanks and is bottled unfined, unfiltered, and with zero addition of sulfur. The resulting wine is a pink, ramato skin contact Pinot Grigio.